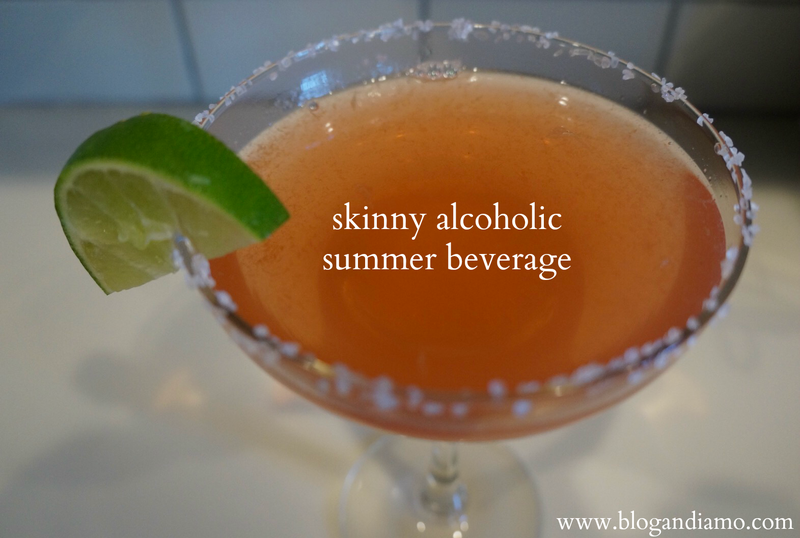 I would have absolutely have called this a skinny margarita but well, we used vodka. Not that the caloric intake is that different between tequila and vodka but we just happened to have vodka in the house. - Crystal Light. We used raspberry lemonade here but any flavor would work based on your preference. These pouches we have are enough to make one pitcher. So like four of those to-go packs if that's what you're using. - 24 ounces of Diet Mountain Dew (I know I know, super unhealthy, soda, yuck, but pick your poison right?). This is about two can's worth. In a pitcher you just mix the Crystal Light, the soda, alcohol and lime juice and then top off with water, leaving room for ice. Matt prefers to add this horrid Mexican flavor thing to the rim of his margaritas and well, these are close enough to that for him. My aunts are always making Crystal Light/Vodka concoctions and swear it's amazing! I haven't had Mountain Dew in 15 years or better! oooh girl, what an adult concoction!!! love it!! I can vouch that this drink is delicious! a field trip. on public transportation. we are adults, and we dye eggs. a day of egg hunts.